Oralight ProQuality Reflective Laminated sticker decals kit for BMW R1200GS - 8 pcs. 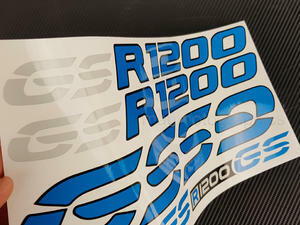 Highest quality stickers/graphics set for your motorcycle. Please note, these are not made from many layers of stickers on top of each other as many cheap stickers available on ebay. 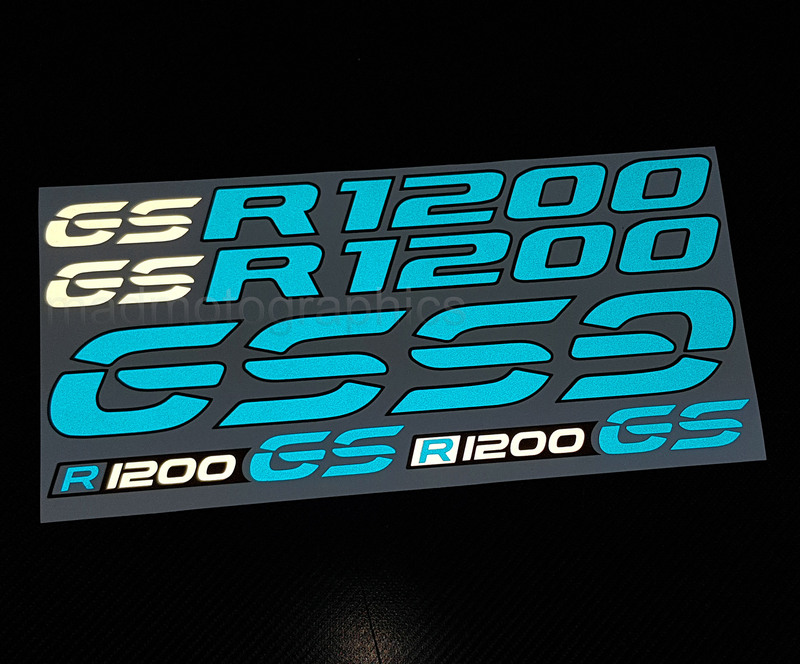 Our graphics are UV printed. 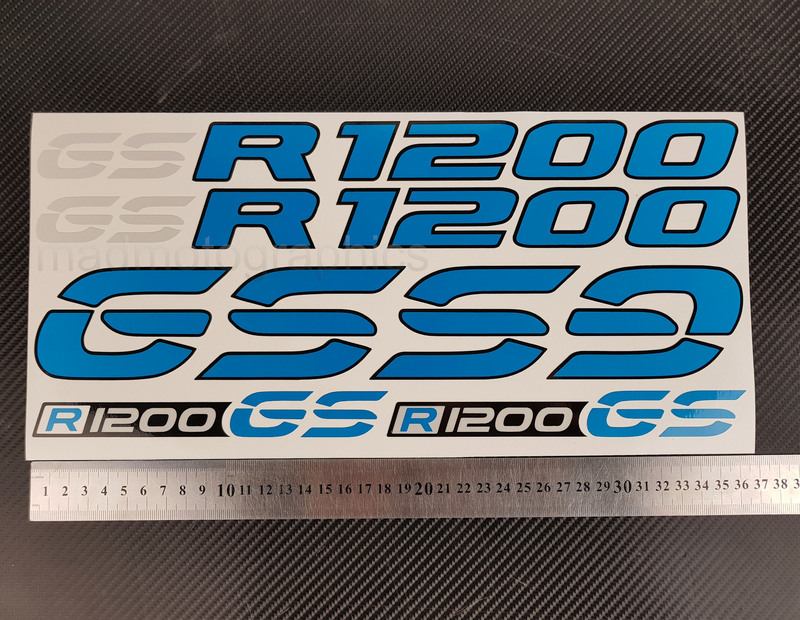 We use only highest quality materials to provide best looking and durable graphics that will stay for years. 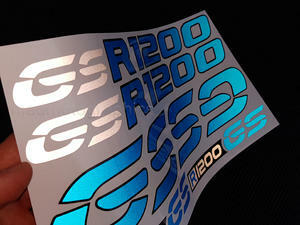 Thick reflective vinyl laminated for extreme protection so they will not fade or scratch. Highest quality you can get! Highest quality UV digital print with OEM inks! Transfer vinyl included for easy application. Please note: The main colors are White, Red and Blue. The reflective vinyl create many shades of the color when illuminated, so in normal daylight conditions it will look like a normal color. In the dark it will shine in different shades of the color depending on the light angle. Can be applied on cars, bikes, helmets, everyday staff like doors, laptops, tool boxes etc. All the decals must be applied on a flat and clear surface, free from dust, oils, chemicals and dirt. 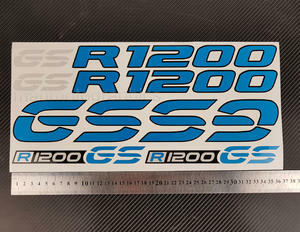 We tested our decals can be applied even on wood, slightly uneven metals etc. 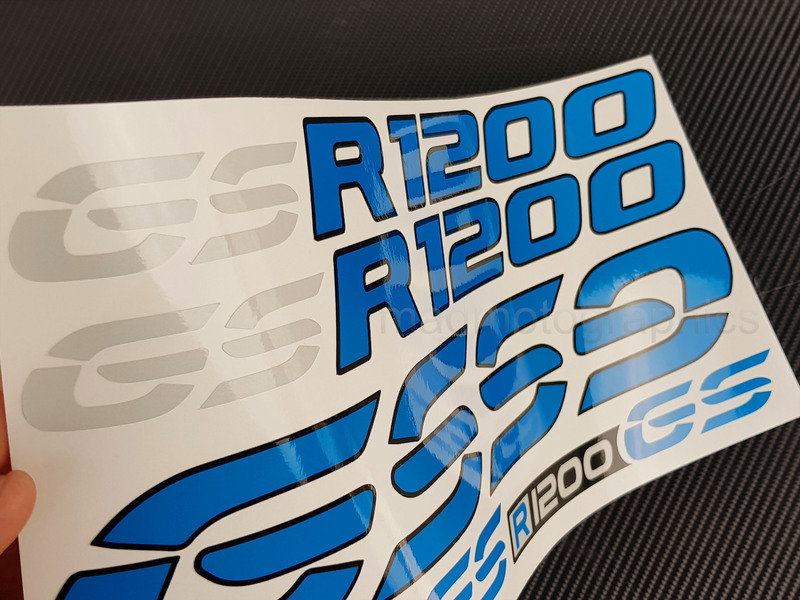 The decals may not stick on matted dirt bike fairings with deep scratches for instance, so make sure the surface is clean and flat enough.